While Sudan’s north-south civil war was raging in 2003 – the country’s second major internal conflict since it gained independence in 1956 – worrying reports began to emerge from Darfur, the arid western region of Sudan. Opposition groups led by The Sudan Liberation Army and the separate Justice and Equality Movement began attacking government targets, accusing Khartoum of favouring Arabs over black Africans. The government said it mobilised ‘self-defence militias’ but denied links to the Arab Janjaweed, which had been accused of driving non-Arab Africans out of Darfur. There are, however, several different explanations over the origin of the conflict. One involves the “land disputes between semi-nomadic livestock herders and those who practice sedentary agriculture.“http://www.foreignaffairs.com/articles/60434/scott-straus/darfur-and-the-genocide-debate Another theory states the trouble stems from the civil war in southern Sudan between the northern, Arab-dominated government and Christian and animist black southerners. The United Nations claims up to 300,000 people died and more than 2.7 million people have been forced to flee their homes since the start of the conflict. Refugees said government air raids would be followed by Janjaweed militia attacks, which saw men killed and women raped. The United States called it genocide. A peace deal was signed in 2006, but not all of the rebel factions signed up to it. The following year, Sudan agreed to give access to a joint United Nations and African Union peacekeeping force. President Omar al-Bashir, in 2009, became the first sitting head of state to be indicted for war crimes by the International Criminal Court (ICC). The Sudanese government responded by expelling 13 foreign aid groups from the country. Al-Bashir signed a peace accord with rebels early in 2010, declaring the war over before being re-elected as president. The ICC then issued a second arrest warrant for al-Bashir, this time on charges of genocide. 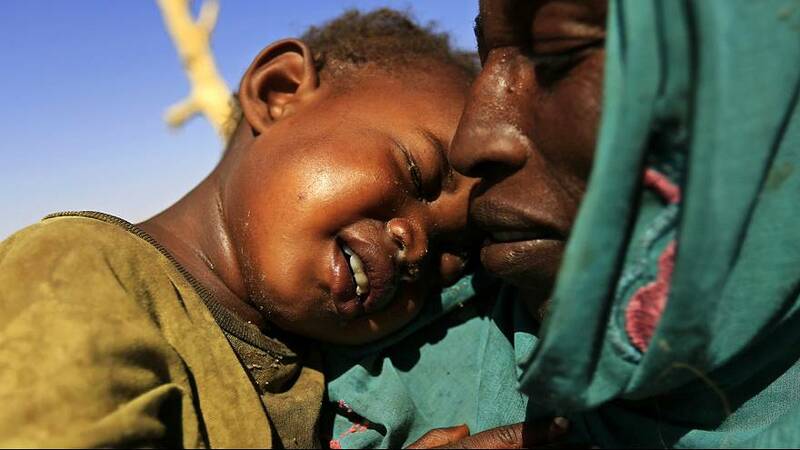 Violence in Darfur flared again in 2013 and 2014, displacing around half a million people. In December 2014, an ICC prosecutor announced she was suspending her probe into war crimes in Darfur due to a lack of action by the UN. In February 2015, Human Rights Watch alleged that 221 women and girls were raped in a Darfur town in 2014 by Sudanese forces. The Sudanese army denies the accusations. Al-Bashir has been buoyed by the ICC’s decision to shelve its war crimes inquiry. He has also pushed for African Union peacekeepers to leave Sudan, a move some analysts believe would give the army a freer hand to quell the rebellion.